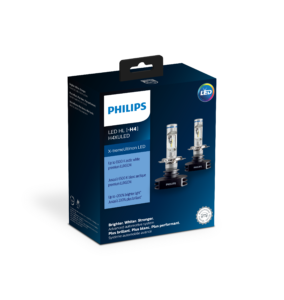 Philips has announced the introduction of the Lumileds X-tremeUltinon LED headlights in Canada, offering an arctic white light that is 200 per cent brighter than traditional halogen bulbs. To manage heat, it comes with AirCool or AirFlux technology – a small fan that cools the modules. The kit uses an external driver box to control the current powering the LEDsto ensure brightness stays the same, rather than being affected by changes in the vehicles charging system. The company recommends that the headlights are installed by a professional.